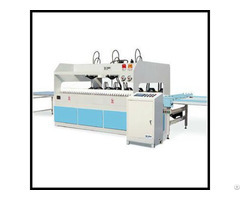 High frequency edge gluer is also called radio frequency edge gluer, It combines the high frequency heating with 2 direction pressing press, suitable for finger joint or edge glued board jointing or gluing the rim of solid wood door or other wooden block gluing. 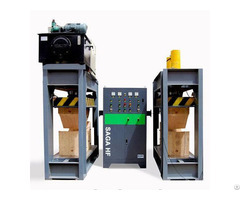 Place the glued wood slats into the feeding table, starts HF edge gluer, feeding cart will push the slats to the curing table, PLC gives signal to the hydraulic, top press plate presses down to make the wood slat flat and uniform, then back pusher pushes in to make the wood slats well glued, high frequency power starts automatically to heat the glue according to set time, after heating finish, pressure keep and HF stop, system starts the program of cooling, after cooling, back pusher move back, top plate raise, one cycle finish. 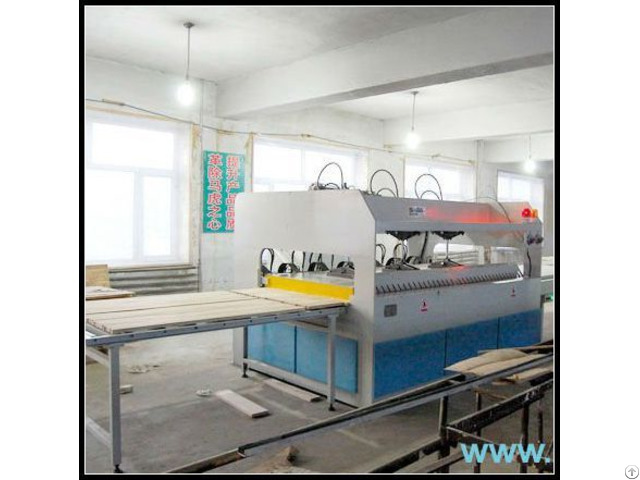 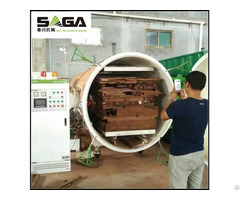 When the second feeding starts, the finish panel or board is pushed out of curing table and fall to outlet table, then the second gluing cycle starts.